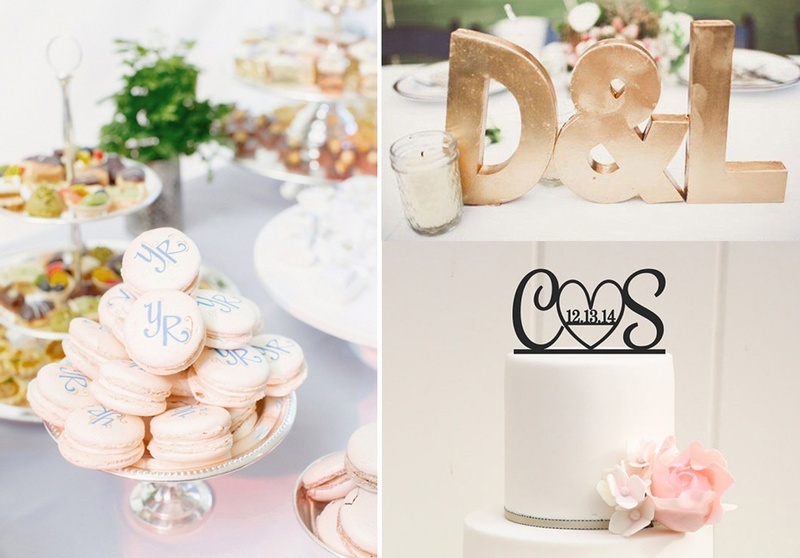 We’re big-big fans of cute little elements that become major highlight of weddings. In fact some of these unique ideas end up becoming major trends for the season. Imagine your wedding becoming a trendsetting one? One such overlooked and underrated element is wedding initials. Incorporating wedding initials is a great way of making the day all about the bridal couple, adding a personalized element to your wedding décor and pioneering a movement in Indian wedding planning and decoration, which has not really made it to the top, just yet. Brides, make note that we are definitely not talking about those tacky glitter initials stuck on red hearts. For couples who hate those cheap wedding initial decorations as much as we do, we share with you some great ideas that can make your day extra personal and super special. There are plenty of ways in which you can design your initials - the font style, small or large initials, the material in use – creating a classic monogram can require a little brainstorming, but it will all be worth it. Whether you want the groom or the bride’s initial to come first we leave that up to you to decide. From your wedding invitations, table decoration, photo booth to favours, here are creative ideas that you’ve probably never seen before. Your wedding might end up in the news. Start from the very beginning and maintain it throughout. We’ve got plenty such ideas and inspirations on wedding personalization - check this one out.